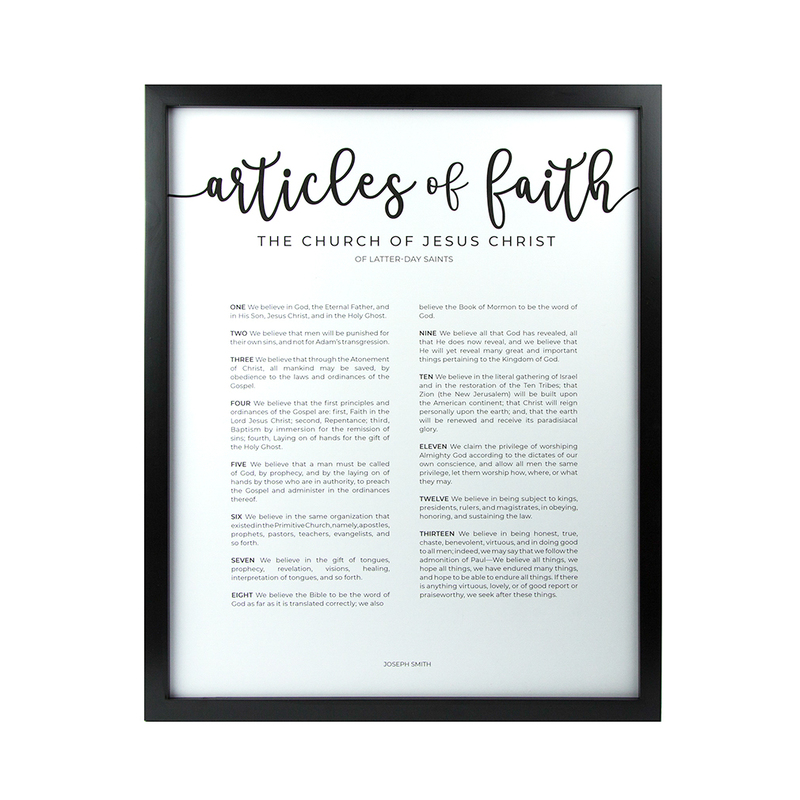 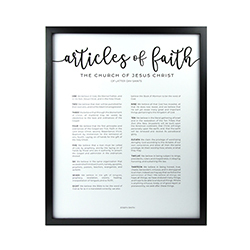 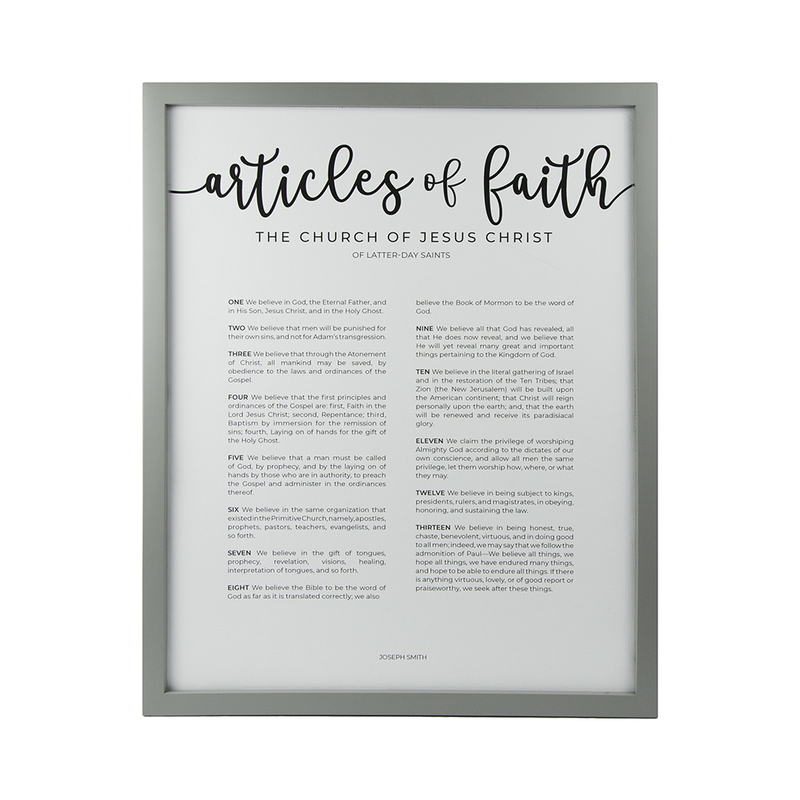 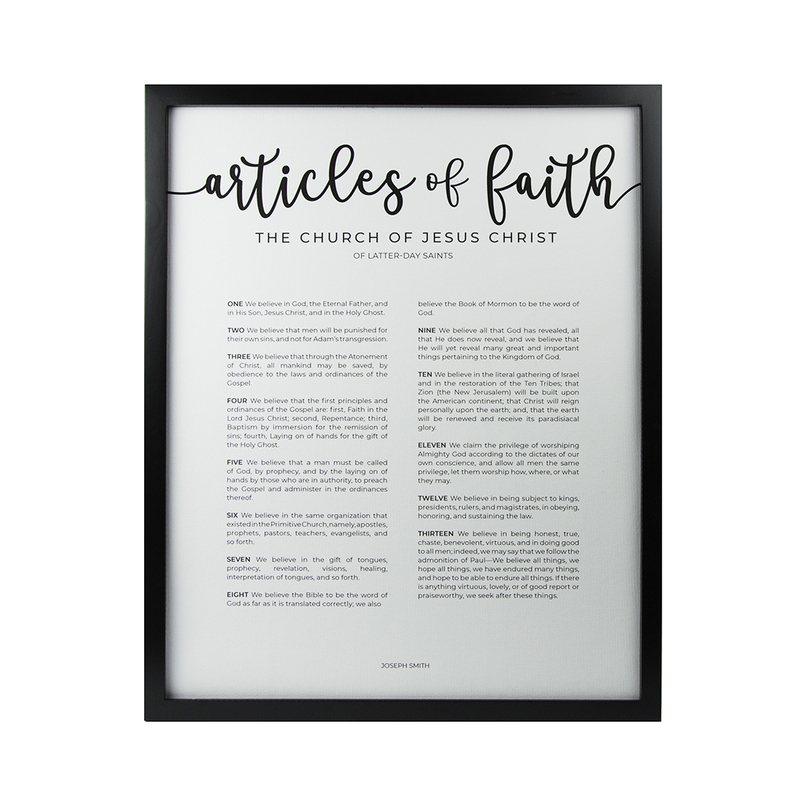 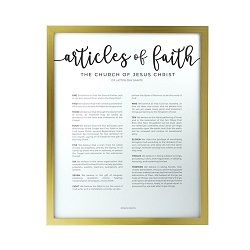 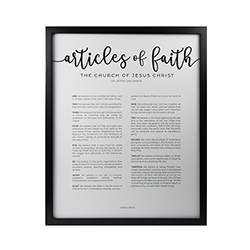 Our framed Articles of Faith is a beautiful piece of art for any home or office. 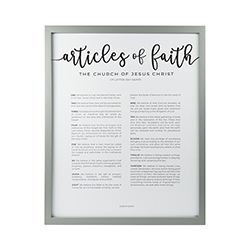 It features all thirteen Articles of Faith as penned by Joseph Smit. 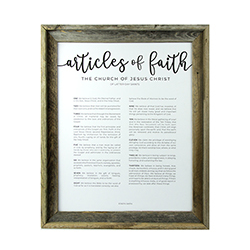 Each print comes professionally mounted in a simple, modern frame. 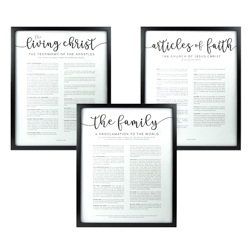 Choose from either durable, heavyweight paper or canvas.